The purchase of rail fastenings was called in question. The National Police on 16 November held around 50 searches in some of Ukrainian Railways' (Ukrzaliznytsya) units in six regions of Ukraine in the case of gross embezzlement and criminal collusion for corruption purposes, Infrastructure Minister Volodymyr Omelyan has said on Facebook. "Among the suspects are Messrs Dubnevychs, Mykhalchuk, Kostyuk and a bunch of other yobs," he said. The Prosecutor-General's Office said that the searches were held in the offices of one of the company's department in the case of especially gross embezzlement during the purchase in 2015-17 of rail fastenings by a group of people acting in collusion, matching the description of a crime described by Article 191 Part 5 (embezzlement, appropriation of property or seizure by office abuse) of the Criminal Code. Prosecutors seized tender documents, accounting books and electronic data carriers for further investigation. 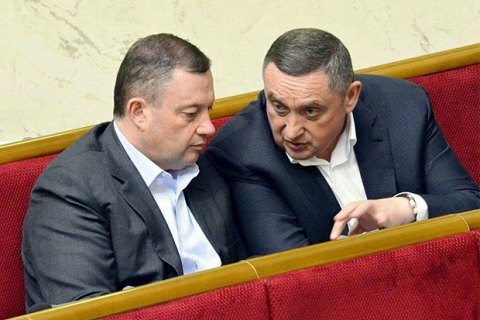 MPs Bohdan and Yaroslav Dubnevych were repeatedly accused of making a fortune on supplies to Ukrzaliznytsya. They were allegedly assisted by Ukrzaliznytsya's passenger transport head and board member, Serhiy Mykhalchuk. Another suspected participant in the scheme was a former director-general of the company's sector, Mykhaylo Kostyuk. UPDATE: Yaroslav Dubnevych, head of the parliamentary transport committee, denied any searches on his premises in the Ukrainian Railway corruption case. "Not a single search of me or my public reception offices took place or is taking place. All my assistance work as usual," he said on Facebook.